Senior appointments within national stock exchanges are often the subject of large scale attention within the financial sector, especially if the venue concerned is held in high esteem. Today, the Tel Aviv Stock Exchange (TASE) welcomes a new CEO, namely Yossi Beinart. Mr. Beinart replaces Esther Lebanon, having been elected this evening by the stock exchange’s board members. Mr. Beinart is a long-standing industry professional, and senior figure within North America’s specialist executing venues, currently holding the position of CEO of Chicago-based NADEX, one of two dedicated binary options exchanges which are regulated by the National Futures Association. 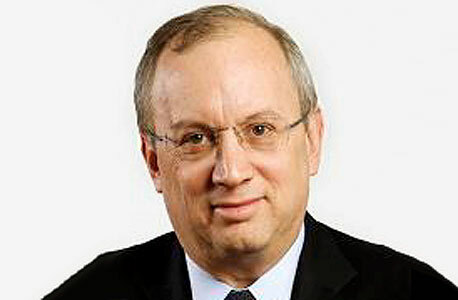 The election of Mr. Beinart as CEO of the Israeli stock exchange was decided among strong competition from other potential candidates, including Dan Hazel, former chairman of MCM, and Jacob Rosen, a former senior executive at one of Israel’s major financial institutions, Bank Hapoalim, who retired from the selection process at the last minute. Mr. Beinart is well positioned to preside over the bourse, as a highly respected senior industry professional of high ethical standards, who is a senior international industry figure and arrives with a wealth of experience, all of which are a recipe for success. According to Israel’s national financial news source Calcalist, Mr. Rosen withdrew his candidacy due to a possible conflict of interest with other business ventures. Mr. Beinart will be charged with the role of rejuvenating the Tel Aviv Stock Exchange, which is a prestigious position, with the State of Israel’s economy in extremely good condition subsequent to Bank of Israel governor Professor Stanley Fischer having implemented a series of extremely astute policies which kept Israel immune from global financial crises. The country until today remains an economic powerhouse with a very strong and efficient financial markets economy and remains one of the best places in the entire world in which to do business. In the current Forex Magnates Quarterly Industry Report for Q3 of 2013, Mr. Beinart, along with his contemporaries, feature in a full and detailed research which investigates the structure and business model required, as well as the regulatory precursors regarding the operating of exchange-based binary options businesses in the United States. To purchase the report, click here.